“The hotel that is a work of art in itself.” On a sunny Thursday afternoon, the Marriott Hotel on 4th Street is quiet. Visitors come and go, often unaware of the turmoil that has surrounded this site for the past five years. But on the weekend of June 15-16, the joint was jumping, as a noisy picket line greeted often-astonished guests. The focus of the demonstration was the annual meeting of the American Library Association. The reason for the demonstration was a lot of unfinished business between the hotel and the Hotel Employees and Restaurant Employees Union, Local 2. In today’s euphemistic parlance, they’ve got issues. Yes, that’s right. Even though it hasn’t made the news recently, the disagreement between the union and the hotel is still unresolved. It’s rapidly becoming the Harold Stassen of labor disputes. It all started back in 1980, when the Redevelopment Agency was once again spiffing up the area south of Market and the Marriott proposed the construction of a downtown hotel. After much wrangling, the hotel signed a “card check” agreement, in effect promising not to oppose efforts to organize its employees into a union. In 1989 the glass-and-chrome giant jukebox shape joined San Francisco’s skyline, but from the getgo the hotel tried to renege on its initial promise, which it said was obtained “under duress.” In 1996 most of the 1,100 employees voted Local 2 their representative. 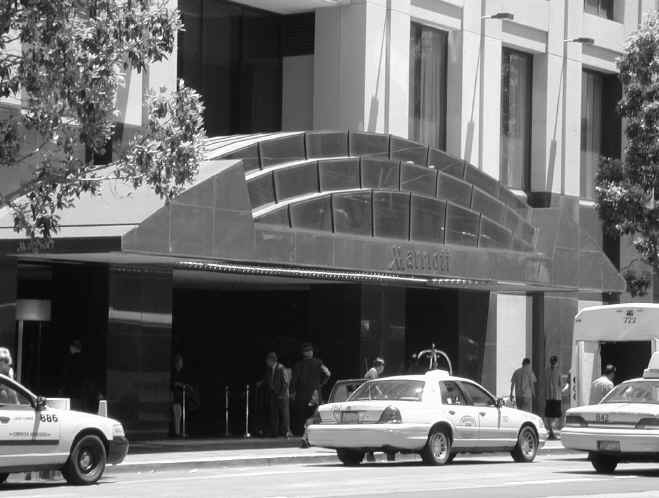 Meanwhile, the union has put together a website to “inform potential customers that the San Francisco Marriott Hotel is involved in a 5-year labor dispute, and a boycott of the hotel has been underway since September 2000. Because hotel accommodations can make or break travel and meeting arrangements, it is crucial that you know that this fight, and specifically the boycott, has been extremely disruptive for the hotel’s guests.” For those who doubt, the boldfaced link offers vivid videotaped evidence of the disruption. And the librarians? A number of them took one look at the chanting marchers outside the entrance to the hotel and joined the picket line.